While Estonia is notable among the Baltics for its highest average net wage of more than a thousand euro, Lithuania is first based on a less laudable metric – inflation, which is not only the highest in the Baltics, but in all of the European Union. Estonians can also boast of far larger pensions, which reach 410 euro, compared to Lithuania's 274, also lower unemployment and greater appeal to foreign investors. Why is Lithuania failing to catch up with Estonia and what we should do about it was discussed on the Delfi TV Gyvai conference with SEB bank chief analyst Tadas Povilauskas and economist Rūta Vainienė. Average net wages in Estonia have already climbed above the 1000 euro margin, reaching 1001 euro, while in Lithuania it is 300 euro lower. Both economists agreed that there is no single answer why we trail behind this much, but there are a number of significant and painful factors. "One must admit that the Estonians are working better than us, more effectively, are better. As for what allows them to work more effectively – they have invested more into technologies. Furthermore we know well that they have long had an income tax of zero for investment. As long as wealth is not distributed, it is not taxed. In other words, if a person has good work tools, they can create far more. The second reason is likely the black market because our environment is favourable for it to exist," R. Vainienė said. She pointed out that Estonians are more inclined to pay taxes because they trust their government. "In truth we are not all that different. But they do the 20% most important things best, thus they receive 80% of the benefits," the economist said. T. Povilauskas noted that we have near always been trailing behind Estonia, but even worse, we are not gaining. "We started from a similar position, however after independence they made a rapid breakthrough. Why? Because they had Finland next to them, took their culture, thus the shadow, off the books payments are smaller. They have good neighbours. The 30% difference in wages exists already since 1995, we had perhaps only closed in on the Estonians in 2005-2008. We must discuss why we returned to trailing again in past years," he stated. T. Povilauskas mused that wages in Lithuania are also lower due to a different economic structure to Estonia. "If we have 8% of the workforce in agriculture, in Estonia it is below 3% and we all understand that wages in agriculture are lower and lower added value is created. 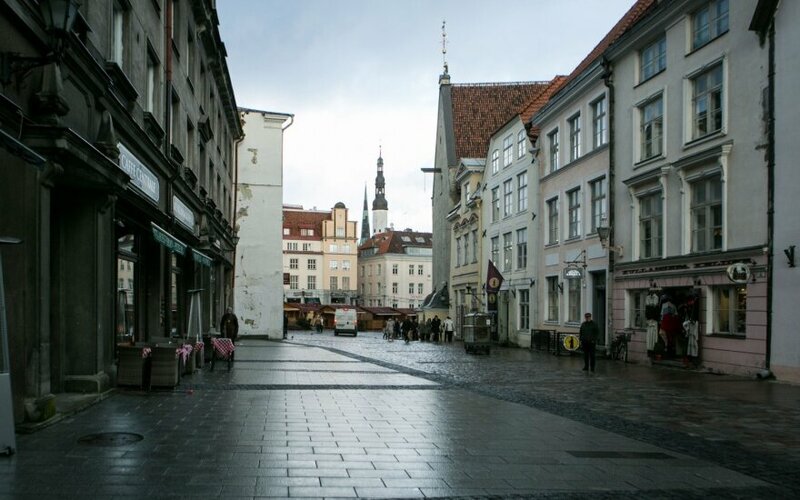 Estonia is developing the IT, real estate, service sectors, which form the majority of the state economy. Meanwhile a third of the Lithuanian economy is retail, sales purchases, low wages, part of it being in the black market. Thus we also have significant income inequality," he noted. R. Vainienė stated that our development of a number of sectors, trade, services and industry, is a positive factor we should make use of. However to do this, the economist believes, we are failing to do the simplest things. "We get stuck and fail to make use of the places we could make serious breakthroughs. For example we have an excellent manufacturing industry. What stops us from buying the newest technologies? Or nil profit taxation. It looks like small details, at one point we also had it, later we cancelled it, while the Estonians are not doing it, they are consistent. What is most lacking is that we have not become a country of holdings, that companies developing their activities in Lithuania do not wish to have a mother company here, it is more convenient to have their holdings in Holland, or even Estonia, which have more favourable tax environments. We have lost in this area," she commiserated. According to her, Lithuania lacks a zero profit tax exemption. "The Estonians did it and are sticking to it, not like us – sometimes we're pretty and smart, sometimes we use the exemption, sometimes we cancel it. They are consistent. They do not have a profit tax law and that's it. So long as profits are not distributed, payments are nil. Just imagine what motivation that is to invest. I remember the idea was born in Lithuania, thus they went and copied us," R. Vainienė stated. Estonians have been consistent in overall their entire tax policy. "For example they had already decided on tax changes for 2018 by this spring because in winter it was already said that there will be increases to the untaxed income size. Meanwhile in Lithuania you have no idea what will be, everything is changing," T. Povilauskas said. Not only will the untaxed income size be raised in Estonia starting next year, but also the minimum wage which will rise to 500 euro. Meanwhile in Lithuania the minimum wage will reach 400 euro from January 1. "The government must promise what conditions it will create and mustn't change them. Now instead of a Sodra ceiling we got the floor. It seems that in every area where everything looks simply and primitive, where the big added value is created, we tie a noose for ourselves at the hands of Seimas," R. Vainienė criticised the decision to establish a Sodra payment floor. Delfi reminds that the Sodra floor was set in order to ensure that employers would pay tax for staff working part time from a sum that is no smaller than the minimum monthly wage in order for those employed to accumulate the required pension work experience. 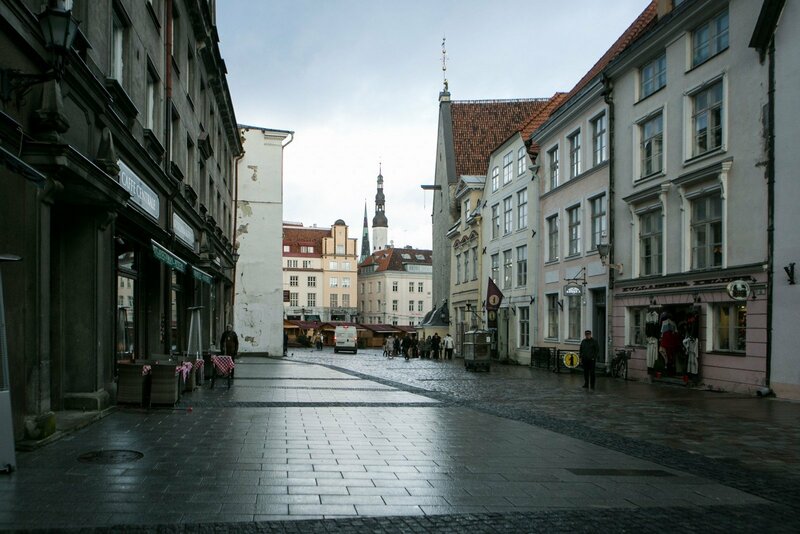 Estonia has established both a payment ceiling and a floor. T. Povilauskas does not agree with R. Vainienė, stating that, "I view the Sodra floor positively because I believe that it is a means to combat the black market. I understand that there will certainly be those discontent, but there are exceptions, the floor will not apply to pensioners, individuals up to 24 years old, if it is their 2-3 job. I know there are antagonisms, but something must change." However R. Vainienė stated that while certain exceptions have been made, individuals working based on business permits were forgotten: "I view it negatively because among the 200 thousand individuals who earn less than the minimum wage, certainly not everyone is in the black market, receiving payments off the books. Furthermore there is a large number of individuals who perhaps have their own farm and for example work in the village store. This variant works for them, but those working based on business permits are certainly forgotten," R. Vainienė said. "That's just a detail that was not considered. Those people pay a far lower tariff from half their income, for which also a cap is applied. Thus they already pay far less than hired employees," T. Povilauskas countered. "However they only earn work experience for the pension when they pay tax from a single minimum wage," R. Vainienė pointed out. T. Povilaitis added that we must remember that lacking a floor, not all people will gather the needed work experience for a pension: "Just consider the social insurance of such individuals. If a person is working part time and has a farm, most likely they will not accumulate funds for a pension, will be left uncertain." "But wait, if a person receives 38 euro wages per month and will have to pay 124 euro to Sodra, that's already certain. After 40 years that Sodra may no longer even exist when the demographic situation is as is," R. Vainienė stated. According to the economist, it would be most adequate if those earning less than the minimum monthly wage could voluntarily present requests to pay taxes from the minimum monthly wage so that they would accumulate work experience for their pension. While there is often criticism that labour taxation is high in Lithuania, T. Povilauskas observed that labour taxation in Estonia does not differ much from that in Lithuania. "If we look at labour taxation, we are near identical to the Estonians, I would say there are no fundamental differences, thus I would not complain why we are behind the Estonians in this," he said. Nevertheless R. Vainienė observed one notable difference – pensions are taxed in Estonia. This was discussed in Lithuania as well, however Minister of Social Security and Labour L. Kukuraitis, who mentioned in April that they are not taxed in Lithuania, later reassured that for now there are no plans of doing so. Both economists agreed that Lithuania should not follow this Estonian example. "I believe the pensioners would dislike it. In Estonia the untaxed income size will rise to 500 euro in 2018, thus the income tax will only apply if your pension exceeds 500 euro. Hence average pensions are not taxed. But I would still be inclined to not tax them at all in Lithuania," T. Povilauskas said. Regarding a viewer's question whether the situation in Lithuania could improve via the implementation of progressive taxation and if this could help catch up to Estonia, the economists disagreed and R. Vainienė stated that she overall cannot grasp why Lithuanians are so keen on progressive taxations, calling them "envy taxes". "I would strongly disagree with them. We already have progressivity – a Sodra floor, but no ceiling, thus already via Sodra we have large progressivity. Furthermore we would only further scare off high qualification labour. It is a matter of envy and I do not know where it stems from, perhaps we should ask scientists who deal in this, where there is so much envy from. Progressive taxation is called envy taxation because people always think that it will only be applied to the wealthiest, but not them. Those earning more also pay more and thus I cannot understand this matter. The Estonians do not have this envy, meanwhile we must go for an economic confession, why exactly we have this envy because it truly is a terrible sin," R. Vainienė said.